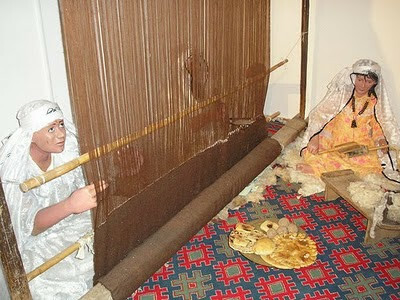 The North Africans( Algerian, Tunisian, Morocan and Libyan) be they are the Amazigh,Arabs or Berbers produce one of the best kind of hand-woven fabric just like in Malaysia they have songket. They still use the tools used by the ancient Romans who once ruled them.Women and young girls still to this day master the industry. Camel's hair as on the left supplies warmth without added weight. The hair contains thermostatic properties which can protect and insulate the camel from the extreme cold conditions as well as keeping them cool in the desert. 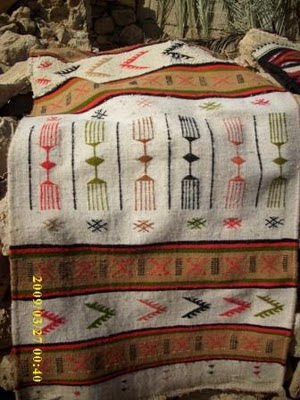 The same properties and characteristics are transferred when making fabrics woven from camel hair.